My niece from Atlanta called to ask about her grandmother’s (my mom’s) blackberry cobbler recipe. She said she couldn’t find it on the blog. My bad! I can’t believe I haven’t blogged this yet. This was my fathers favorite dessert, and is fondly remembered by everyone in my family. Each summer when I was a young girl we’d get up early (early for summer), dress in long sleeved shirts, long pants, boots and hats and head out with Mom and Dad to pick blackberries. (The clothing helped protect us from ticks and chiggers.) Mom provided old plastic milk jugs with a big whole cut out of the top for each of us to collect our berry bounty. We headed out to the fields near our home and picked blackberries until our fingers were purple and the heat was too much to bear. 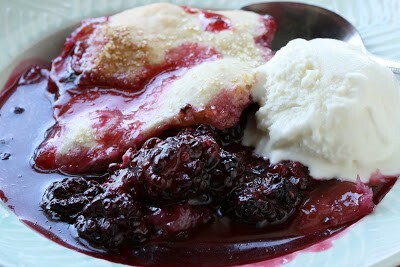 Mom would spend the day cleaning berries, make jelly or jam and of course, a blackberry cobbler. These blackberries are much bigger than the ones we used to pick. They’re delicious but there’s something about those tiny, tart wild berries that warms my heart. Picking berries is a labor of love. We used to pick blackberries with our children too but since we moved to Virginia we can’t seem to find a good spot. So last year we planted our own blackberry bushes in the backyard. Maybe next year we’ll have a crop of our own. Preheat the oven to 400 degrees. Prepare enough dough for a double pie crust. Set the crust in the refrigerator while preparing the berries. Stir together sugar and cornstarch in a medium saucepan. Add 1 cup of boiling water and stir until the sugar is dissolved. Cook over medium-high heat until the simple syrup begins to boil. Cook, stirring occasionally, for 5 minutes. 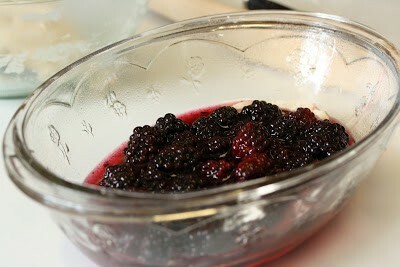 Remove the saucepan from the heat and add 3 heaping cups of blackberries. Stir until the berries start to release their juice. You don’t want to smash them, just coat them well in the syrup. Ladle some of the berry juice in the bottom of a casserole dish sprayed with Pam. Roll out half the crust in a piece large enough to fit the bottom of your casserole dish. Trim the edges and set aside. Lay the crust on top of the juice. Spoon about half the berries and the juice over the crust. Place the leftover crust pieces over the berries. This is the dough left over from rolling out the first half and cutting to fit. Pop the casserole in the oven for about 10 minutes while rolling out the top crust. 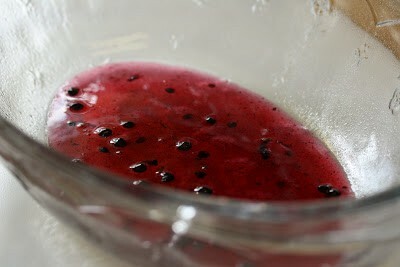 Remove the casserole dish from the oven and top the lightly browned crust with the remaining blackberries and juice. Dot the blackberries with a tablespoon of butter. Lay the remaining crust on top and sprinkle with sugar and cinnamon. 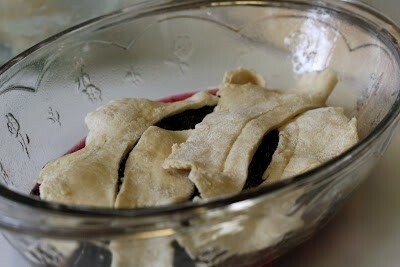 Put the casserole back in the oven for 15-20 minutes or until the crust is browned and the blackberries are bubbly. Cool slightly before serving. And of course it’s pretty terrific with a scoop of your favorite ice cream. I had leftover Cheesecake Ice Cream from the 4th of July. Incredibly awesome! 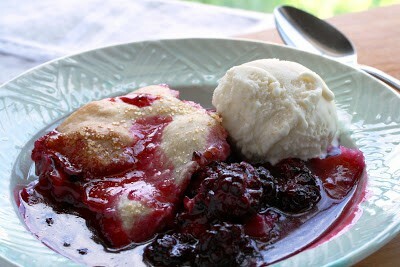 This cobbler can be adapted to use a biscuit topping in stead of a crust if you prefer. This is a very easy recipe and quick too. Cobbler or “cobble up” means to put together in a hurry. This recipe can also be adapted to any fresh fruit. A family favorite enjoyed by three generations - so far! In a medium saucepan mix together 1 cup of sugar, cornstarch and boiling water. Bring mixture to a boil. Boil 5 minutes stirring occasionally then add the fruit and juice. 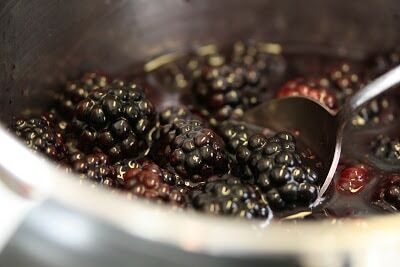 Remove the fruit from the heat and stir gently until the blackberries release some juice. Set aside. Prepare a double pie crust. Lightly grease a casserole dish with Pam. Ladle some of the blackberry sauce/syrup in the bottom of the casserole dish. Roll out half the dough. Cut a piece to fit the bottom of the pan. 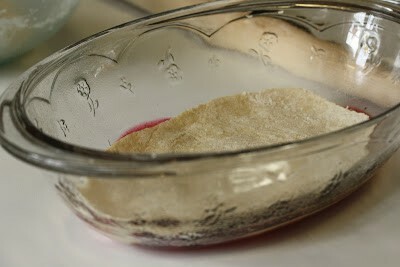 Lay the pastry on the juice and top with half the berries and juice. Layer the scrap pieces of dough on top of the berries and bake for about 10 minutes while preparing the remaining dough. Remove the casserole from the oven and top with the remaining berries and juice. Dot with 1 tablespoon butter and remaining dough. Sprinkle with a little cinnamon and sugar and bake for 15-20 minutes or until the crust is browned and the berries are bubbly. Allow the cobbler to cool slightly before serving. 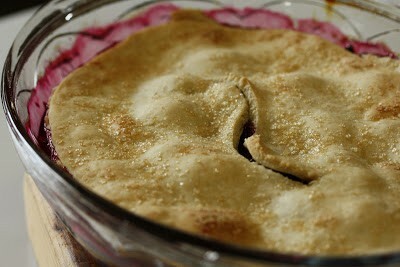 Click HERE to get our recipe for Perfect Pie Crust in 3 Easy Steps with VIDEO! You may have noticed we’re trying a gluten free experiment for 6 months. We’re only weeks away from the end of the trial period so I’m putting together some thoughts on the process. This recipe was not gluten free because I didn’t want to post a family recipe with a different crust and I haven’t found a gluten free crust that I would recommend. Our little experiment has not been scientific and I’m not a dietitian so all opinions and conclusions are my own. Right or wrong – I’ll share my findings soon! Hope you had a nice “cooler” weekend. It’s supposed to reach 100 degrees again this week. I’m ready for winter already 🙁 This has been one hot summer. Have a great week and thanks so much for stopping by! Homemade Strawberry PopTarts Peanut Butter Blondies Creamy Margarita Milkshake Easy Plum Cobbler Mini Black Bottoms – NOW ON VIDEO! My mother would whip sugar, butter and a little vanilla together and we would put that on our berry cobbler instead of ice cream. It was sooo good. Just a little high in fat and calories Was worth it !! That sounds amazing! I’m going to try that. I love food memories – thanks for commenting! 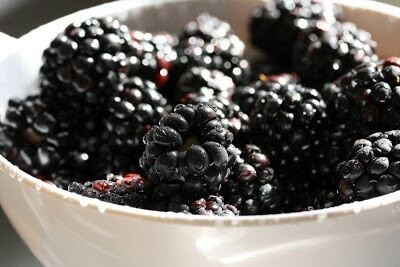 I adore blackberries. When I was a kid, we had a mulberry tree that used to over hang our pool. It was our job to eat the berries before they dropped into the pool and stained the bottom! 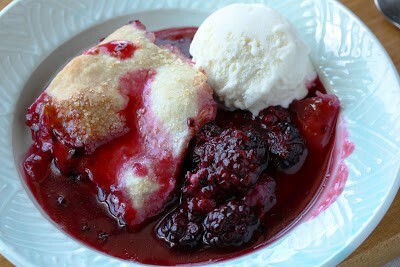 Oh, how I love blackberry pickin' and blackberry cobbler!! This looks dee-lish Trish! I made one a couple of weeks ago and have used a roll of dental floss to remove the blackberry pits…it's so worth it though!!! Such a beautiful dessert, Tricia. I love the story of childhood blackberry picking, we discovered the pleasures while in New England and I miss that so much. The small wild berries are so much better than the huge ones available today, but they're still my favorite summer fruit. I love your vintage glass baking dish, how perfect for this recipe! OMG…exquisito postre es una sobremesa excelente luce perfecto me encanta,hugs,hugs. 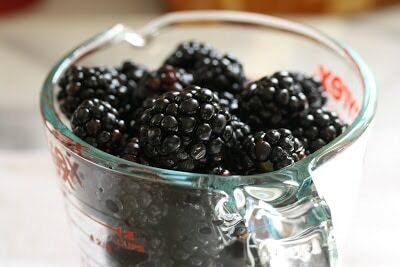 o black berries…I would very likely finish all of them before turning into a cobbler. Looks scrumptious! Visiting my family on the West Coast black berries grow everywhere. Think I'm gonna have to go berry picking on my vacation! I have never seen a cobbler with a layer of the crust in the middle. I can only imagine how delicious that would be!! I love foods like this that are so closely tied to our memories.